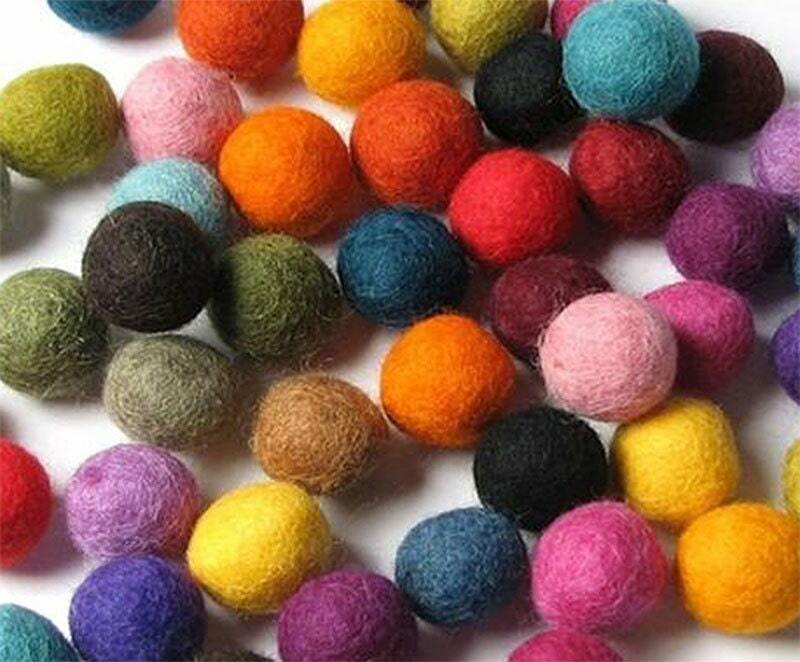 Hand felted wool balls, each one is approximately 1.5cm (15mm) in diameter and each package contains 50 pieces; 2 pieces each of 25 colors. Total of 50 felted balls per package. Exactly as described and pictured. Shipped and arrived quickly. Perfect transaction, will order from again!